My husband works long hours and has a long commute, so family dinners aren’t always possible during the week. On weekends is when we sit down and enjoy meals as a family. But even then, the joy of being together can sometimes be ruined by the fact that I have two very picky eaters on my hands. Which can make meal planning very difficult. I’ve figured out however, that even the pickiest of eaters can’t resist a good chicken meal. So I’ve built up a collection of chicken recipes I’ve used over the years. Regardless, I still enjoy finding fresh new ways to a cook up a chicken dinner. So I’ve gathered up a few new tasty recipes in the Foodie widget app. From Roast Chicken with Sage and Garlic, to a new spin on Buffalo Meatballs, these recipes but the winner winner in chicken dinner! That skillet chicken looks amazing! 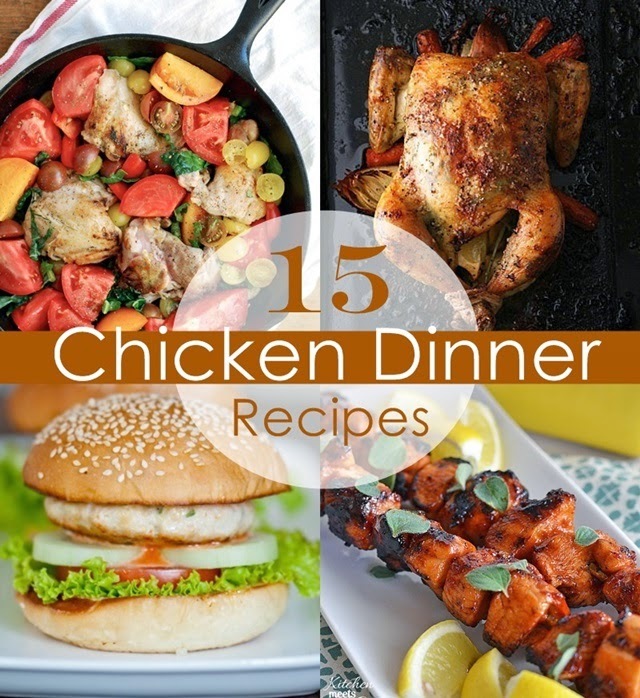 Hi Jenny, these chicken dishes look delicious, I will check out the recipes! I always need more ideas for meals. Looks yummy. Now I have a need to eat a chicken sandwich.